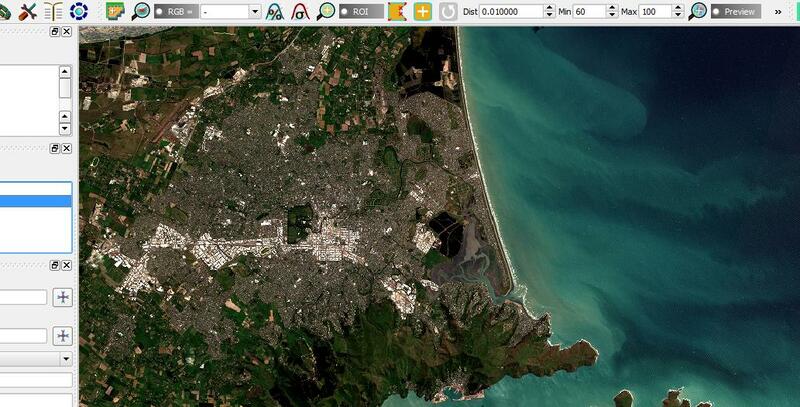 I have downloaded a Sentinel-2 image and loaded the 10m bands from the .xml file in QGIS which works fine. I simply want to open the image in Erdas Imagine for use in accuracy assessment in a true colour composite. In QGIS the bands are as follows: Band 1 (red) 2 (green) 3 (blue) which looks fine. I then right clicked > saved as a GeoTIFF and opened in Erdas, however when I use the same band combination the colours looks different, as below. 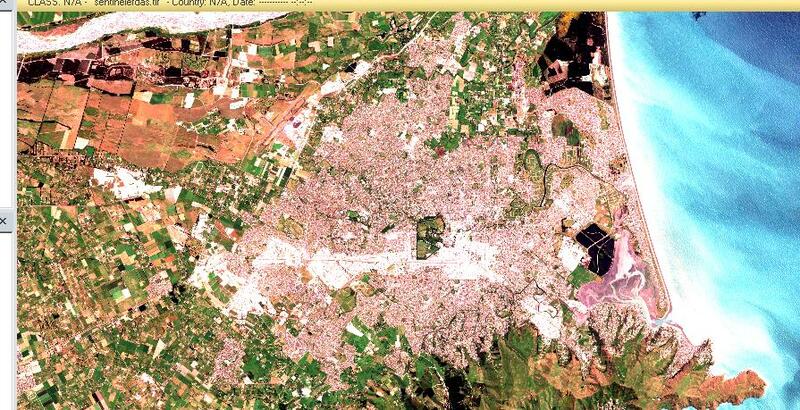 Does anyone know a solution to display the image as seen in QGIS? 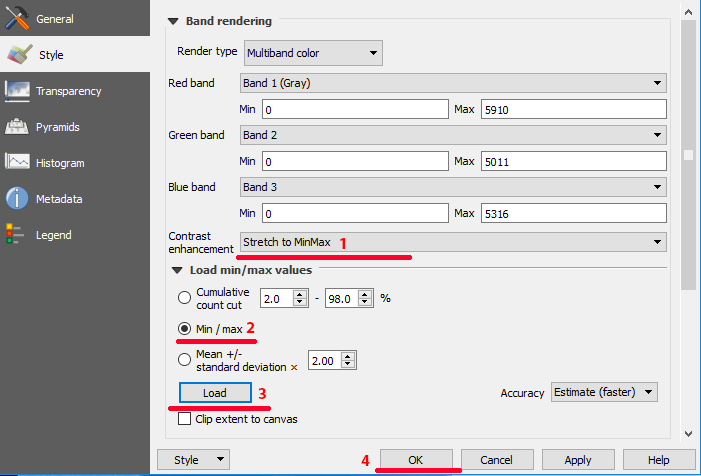 It all comes down to histogram stretching options you use in QGIS and ERDAS. 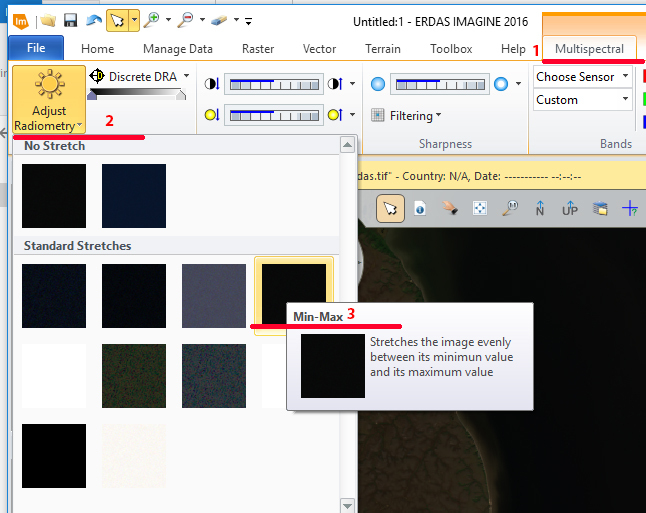 Then, if you are happy with what your image looks like you can use the same (or any other) stretching method in ERDAS: After you open an image, go to "Multispectral" tab, click "Adjust Radiometry" and select "Min-Max" from Standard Stretches. After this, your image should look identical both in QGIS and ERDAS. Performed a Linear contrast stretch and it has improved significantly, although if anyone has any other answers please post. Not the answer you're looking for? Browse other questions tagged qgis erdas-imagine sentinel-2 or ask your own question. Flattening JP2 files to single band (i.e. averaging bands)?